Although it’s common to start the year off with a bunch of resolutions, it’s never too late to create a Vision Board to set clear intentions. Vision Boards have become very popular and are one of the most creative, fun and easy ways entrepreneurs and busy professional women can get their year started on a positive note. Once your Vision Board is created, you can follow simple daily techniques to start using it as a key feature to manifesting what you want most. Creating your own Vision Board is easy – and this step by step method will help you get it done this weekend. 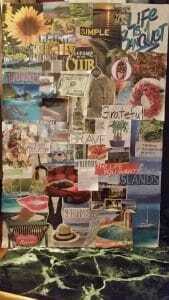 I created my first vision board, many years ago, when I was in college. I was taking a Sociology course at the time and we were instructed to create a positive vision through pictures of how we saw our future selves. I had never heard of Vision Boards at the time, but in hindsight, I realize this was my introduction to visioning, aligning, and deliberate creation. I never expected then, that I would revisit this practice as a small business entrepreneur. The first time, I remember sitting on the floor in my college dorm room with several magazines splayed around me. To begin, I was instructed to cut out meaningful pictures and place them on a piece of poster board. Although I never really saw that original vision board again, it wouldn’t surprise me at all to revisit it today and see how many images have come true in my own life. I am a scrapbooker a crafter at heart, so I loved the exercise but I didn’t really understand the true point of creating a vision board and how it related to creating flow and positive intentions. But the interesting thing is – if you look closely, you’ll see that the images I did include, all happened in 2014. When I truly looked at the vision board, I was astonished at what I saw. The picture of the woman in a kyack, the woman doing yoga, the fruit, and the large hall of empty chairs – all HAPPENED last year for me! 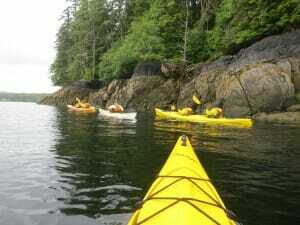 I was longing for active quiet time enjoying nature. I had NO previous idea that we may visit Alaska on a cruise that summer. But as a result of several pieces lining up we were treated to a cruise, and enjoyed a kayak adventure for a day! The four images (in the picture to the right) were all included on the Vision Board I had crafted in December 2013! I’ve been learning about the Law of Attraction for some time now, yet still have some apprehensions about jumping all in. But I see that aligning my vision with a Vision Board has helped things that I want to happen truly come true. When I started, I had some misconceptions about the Law of Attraction, (as many people do in the beginning) and frankly considered myself somewhat of a skeptic! I just didn’t see how sitting around wishing of what I wanted would make things somehow, magically appear. Eventually though, I learned that deliberate creation is not JUST about sitting around and visualizing what you want. While visioning is important, it doesn’t create our reality alone. Vision cannot manifest on it’s own, but it is an essential part of the process of alignment. Alignment does manifest, and it can happen rapidly. Aligning gets us into the feeling state of what we most desire and creates an energy (some call it vibration) that is actually attractive. It doesn’t matter how you get in alignment, but it does matter THAT you do it… regularly, consistently and often! So, the real practice then, is to align your thoughts and visions, then practice deliberately generating the feelings you most want. Then consistently take actions that are inspired from those feelings and move you closer to your vision. Some may align by cutting and pasting images onto a poster board, while others may use visualizing, meditation, writing, yoga, rituals or body movements. When you practice alignment consistently in your life and business, you call into play all of the Universal Laws of Attraction that begin to deliver exactly what you want. I hesitate to share these three examples of manifesting my vision in my own life because they seem a bit far fetched, and a lot woo wooo, but as GOD is my witness, they are absolutely, undeniably true. In order for me to create the first online productivity assessment Time & Space Style Inventory (TSSI™), I knew I had to make some very big investments in systems and infrastructure. Having grown SaneSpaces.com from a ‘middle-of-the-night, dining-room-table-business-idea’ – to an international practice was one step, but to create and support an innovative on-line assessment tool to support the Organizing and Productivity Industries required some real courage. I knew I had been ‘led’ to create the online assessment tool as each step in the developmental process of creation seemed to flow effortlessly. Yet to take the BIG STEP and build a scalable, electronic, online product required a great deal of strategic infrastructure. This of course meant either finding investors or generating tens of thousands of dollars for the build – and that was just to beta test the idea! The thought of assuming a debt load to pay for this tool and business expansion at a time of transition, (just prior to my first born enrolling in college) was terrifying. I wrote a goal card and set the intention to have my son’s college fully funded on 10-29-13. Within 3 weeks we received word that he had been accepted early decision into his college of choice, and had been awarded $60,000 in scholarship rewards. That was wonderful and a celebration in and of itself, but the kicker was what happened within 6 months from that date. As a result of his academic achievement, leadership, and contributions during his high school career, my son received a fully funded scholarship to his top choice college for all four years! (YES, this is the absolute truth… and this image shows the goal card I wrote 6 months prior). Call it coincidence, synchronicity, or luck, but the facts speak for themselves. These two real-life experiences (along with hundreds of others) have convinced me that visioning and alignment work to manifest what you want to deliberately create in your life. So much so that sometimes I’m actually slow to write down what I want because I think it will come true! It’s important to be very specific and (when using vision boards) to find images that truly generate the feelings you want to bring to light in your life today. 2. Find a space that is large enough to spread out all of your supplies. Depending on your location, a large table or the floor are usually great choices. For example: expressed, generous, open and accepted) in that area. Don’t start this process when you’re in a bad mood. Instead, create the space and time to generate a good mood. Find music, light candles, burn incense, chant, gather your crystals, sing to your angels, bang drums, or anything else that supports you in feeling comfortable and relaxed. 4. Find (or create) any images/words/phrases that generate your desired feelings related to the area of life you are focusing on. If you want to feel “free,” select images that invoke “free” feelings for you. Hand write specific goals that you envision for your career, love life, marriage, school, health and wealth – all aspects of your life. If you are not sure yet, then write down all of the things that you believe will make you happy. For example, you can write about dream vacations, meeting great people, eating delicious food, etc. The sky’s your limit, and your personal power lies in your belief and emotional connection. Avoid images that make you feel crappy when you look at them. Sort your images and only keep the best ones. Less is more in this exercise! 5. Arrange the images and words and affix them to your board. Put them in order of importance, or any other way you want to see them on your board. At the center you might even place a picture of yourself with a big smile so you will remember to smile when you see your board. Remember that you are not just putting up pictures, you are finding ways to create a different emotional state! When it feels just right, go ahead and affix your images to your board. You may want to consider creating additional elements using paper and markers, etc. One hint: your subconscious does not discriminate between your thoughts… so, keep everything positive and forward-focused. This way, when you look at your Vision Board daily, you’re programming your subconscious for where you intend to go. And, manifestation can happen fast! 6. Post your completed board in an area that you see daily. When you pass your board daily, focus on the feelings that looking at the images creates for you. Give yourself at least a minute (five minutes is better) each day to look at your board and find your attitude of gratitude. Pay attention to how they feel in your body. Remove and add images as needed (this is why I like the cork board or books, much easier to remove the unwanted and add in). 7. Consistently take inspired, aligned actions and be grateful when you experience your desired feelings. If your desired feeling is abundance, what action are you inspired to take when you feel abundant. Do that. When you align yourself with the feelings you want before acting, not only do you manifest more of what you really desire, but you also get to experience those feelings now. Create A ‘Feeling’ Vision Board – A ‘Feeling Vision Board’ can help you create the feelings you want to manifest in your life! This board will guide your journey towards achieving your dreams. Be very specific in using pictures and other props so that you can truly feel the feelings of gratitude even by just looking at your board. Create A ‘Theme’ Vision Board – Create a Theme Vision Board when you want specific things to happen by a specific date, or in a specific time frame for a specific occasion. For instance, you may want to have the perfect Cruise Vacation, or the best Thanksgiving complete with all your loved ones. A Theme is just that – and can be focused on any occasion or event that you want to be perfect. Create ‘Inspiration’ Vision Boards – If you’re not yet sure of what you truly want in the future, but do know you want to be happy, instead, just create an ‘Inspiration Vision Board’ to invoke that feeling whenever you look at it. Include all the things that you know will keep you inspired and happy about being alive. Include pictures of fun times with family, friends, cherished moments, vacations or even cut outs of certain inspirational stories. Make it your way – and include favorite words, affirmations or your favorite quotes of all the successful and happy people you know. Having more than one vision board, or different forms of vision boards, allows you to see your goals almost anywhere you are. Be sure to display them prominently in your bedroom, office, kitchen, or living spaces where you consistently see them and pass by often. You can take a picture of a board and use that as a screen saver on your computer, tablet or cell phone. No matter how busy you are, you will be able to look at your board and remind yourself of what makes you feel inspiration and gratitude. 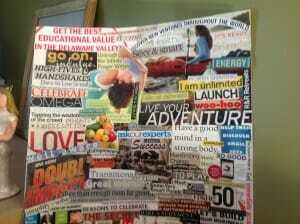 So to wrap up, creating a vision board is a relatively easy process. It does not have to be hard, and anyone can follow these seven steps to create their own Vision Board and begin manifesting your dreams today! Share your Vision Board Ideas and Comment! 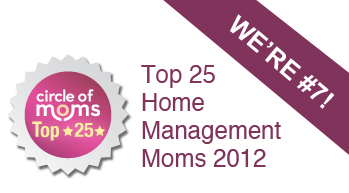 Please comment below about your experience with vision boards! 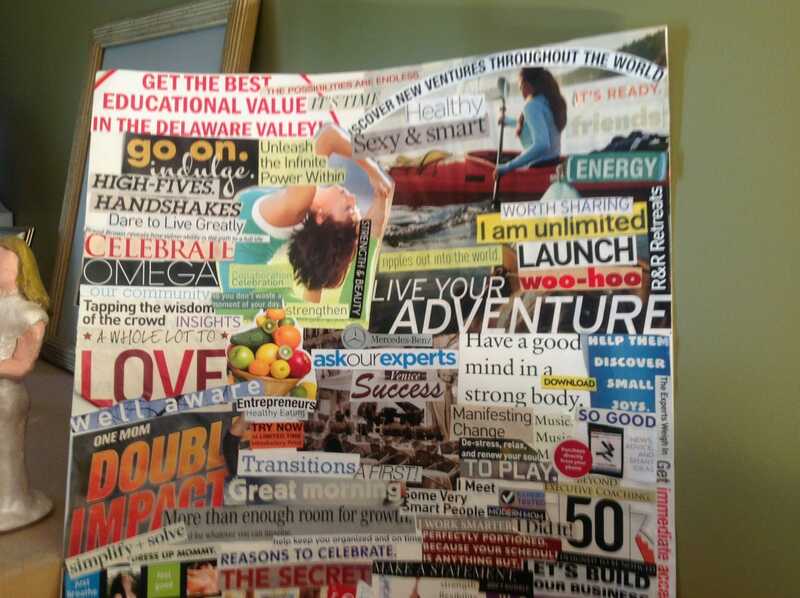 And if you’re commenting in the social stratosphere… please share pictures of your own Vision Boards with our readers! What tips have worked for you? What suggestions do you have to share with other readers? 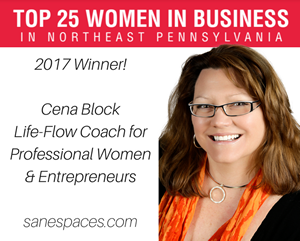 For more information on how to create the life of your dreams, contact Cena at https://www.sanespaces.com. 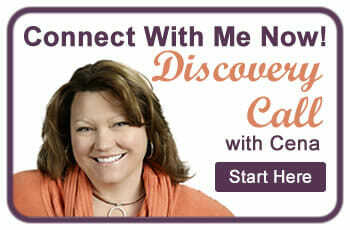 I help busy professional women work on life-flow balance so they can prioritize what matters most!